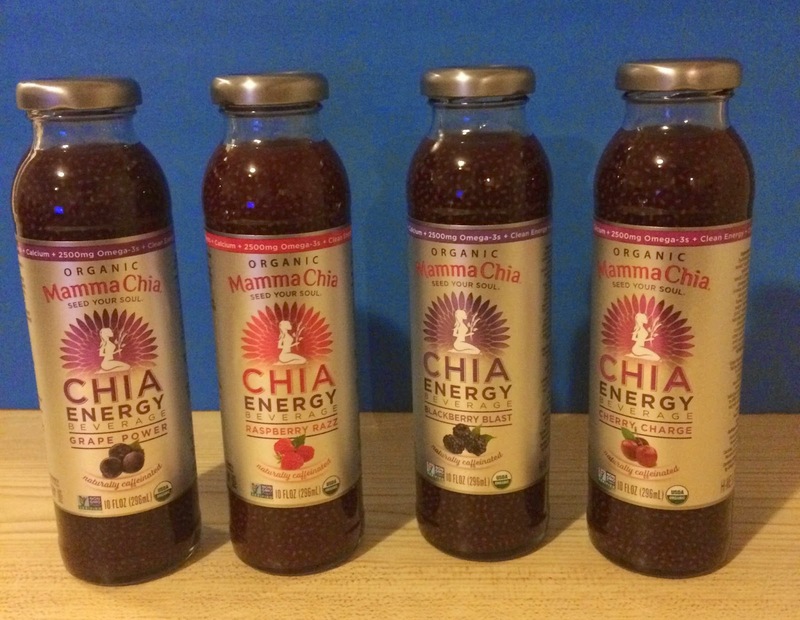 **I received a four free Chia Energy Beverages for my review. Regardless, I only recommend products or services I use personally and believe will be a good fit for my readers. All opinions are 100% my own. I jumped on the Chia Seed bandwagon about a year ago because of all the health benefits. These little seeds are packed with Omega-3s, fiber, protein and antioxidants. I love that when they are put in liquids they plump up and can make amazing overnight oatmeal and some delicious pudding. They can also be sprinkled on top of foods for a nutty texture or put into smoothies. When I think of chia seeds I think of Mamma Chia which is a conscious and sustainable company that wants to share the magic of chia seeds. They offer products made with chia seeds like their vitality beverages and chia squeeze in many delicious flavors. Now Mamma Chia has branched out and created an Organic Energy Beverage. It combines the nutrition of chia seeds, the clean evergy of guayusa and the delicious taste of fruit juices. Guayusa has a unique balance of caffeine, antioxidants and vitamins while delivering energy without the jitters that coffee, soda or other energy beverages can give. Aside from the super cool names they all tasted delicious! I drank them in the morning and noticed myself having an extra little pep in my step. 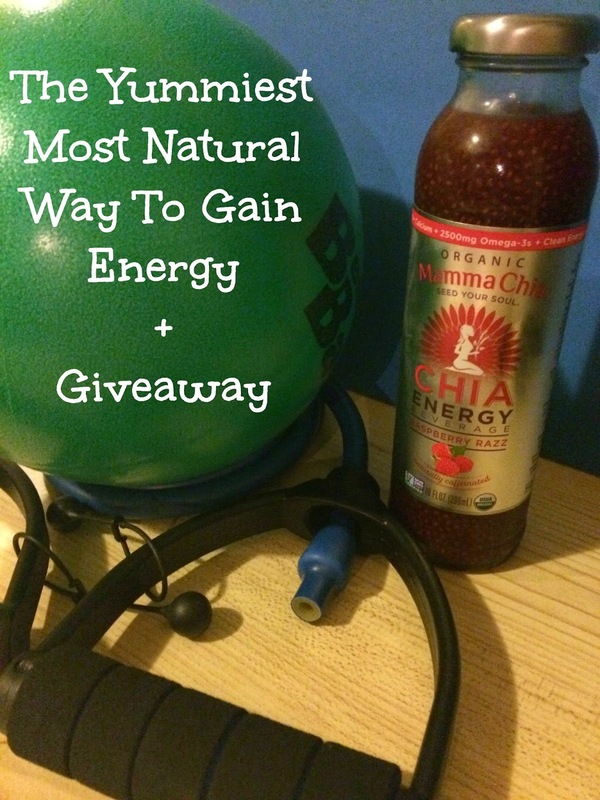 I got back on my exercise groove this week and the Mamma Chia Energy Beverages really did give me that extra boost of energy to get my exercise equipment out everyday. Five days straight of exercise done so far! You can find the Mamma Chia Organic Energy Beverages in select retailers including Whole Foods, Safeway and Target. Click on Mamma Chia to learn more about their other products. Great post. I have not tried Chia seeds before, but interested in the Grape and Cherry ones! It has been a while since I had chia seeds, but I'd love to try them again! My husband a lot of energy drinks, so I will definitely tell him about this. They sound awesome. Thank you so much for the chance to win. These look yummy! I would love to try them. I have never tried chia seeds before, but keep hearing about all the benefits. Perhaps I will have to try and hunt some down! I've never had Chai seeds before but I sure do need some energy. I have the flu and I think the viral medicine I'm on also drags me down. I tried a b-12 patch for 24 hours but I think I'm just going to have to get over this mess first. Then I'd like to try this product because I'll need all of the energy I can get to catch up. I love love love chi seeds. Thanks for letting me know about this product. I've put Chia seeds in soups and oatmeal, but never a drink. That is definitely different. I'm hearing a lot about Chai things lately! I love that its great for energy. The grape one sounds so yummy! I use chia ALL the time. Especially as an egg replacement. Did you know that you could use 1 tbs chia seeds with 3 tbs water to replace an egg in recipes? Let it soak to create a gel. i never really jumped on the chia seed train.. i definitely drink coffee if i need a boost of energy haha but i know i end up crashing later. maybe i'll have to try this drink. This really sounds great...I always need a pick-me-up! Woo hoo! I never tried this but seems like this is a must try one. I will surely try this one. Thanks for the information. I have tried chia and it has some great benefits. I'm not sure I'd like to drink it though. looks good! Like aloe almost. I have always wanted to try this. I have always loved Chia seeds. I would love to try this. I have read a lot of really beneficial things about chia and putting chia seeds in homemade juices and smoothies. This seems like a much more convenient way to get the energizing benefits of chia. Who couldn't use some extra energy! I'm going to check these out at Target. I'd definitely take the grape flavor! Love using chia seeds! This looks yummy. I will have to give this a try I love chia seeds and I always put them in my juices. I'm always looking for great ways to get natural energy. Thanks for the giveaway! I have never tried it. In fact, I have never heard of it until now. I'd love to try the Raspberry Razz. I love Chia, so I am totally going to check these out! Yum! The first time I tried a drink with chia, I thought it was the craziest thing ever. Now I'm used to it and like it. I'll have to try these! This sounds so interesting! I will have to try it! I've heard great things about adding chia seeds to food and smoothies. I haven't seen anything like this though, can't wait to try it out! I've never tried a Chia seed drink before, but I would love to. I like the idea of healthy drinks, it's so much easier than having to eat a whole bunch of healthy food. I think I'm going to try to find that the next time I'm at Whole Foods! I have used Chia seeds before. They make a great thickener for vegan sauces, smoothies, and puddings. I had no idea chia seeds could do that. I just bought some recently and want to use them. I have never heard of Mamma Chia but I will have to try these drinks. They have great benefits. Thanks for sharing. 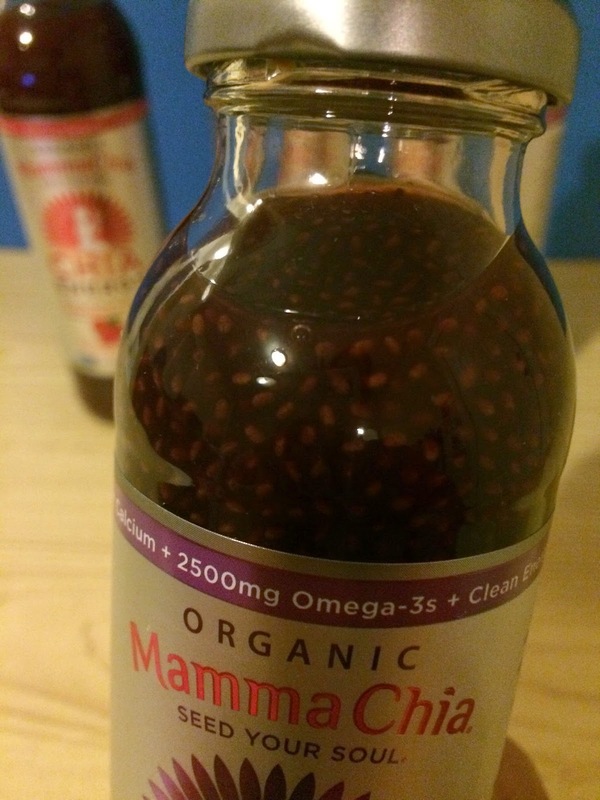 I've tried Mamma Chia before and loved it! I haven't tried a few of the flavors but I'd really like to try Mango Coconut. Never tried chia seeds before but I love blackberries. Excited to try that flavor. I add raw chia seeds to my smoothies, yogurt, and hot breakfast cereals. I've never tried this drink, but I'm interested in trying it, especially the blackberry. I've never tried chia seeds but have been hearing such good things about them. I'd love to try any flavor. Thanks for the chance to win. I have tried chia seeds before. I would like to try the blackberry blast. I love chia seeds in my oatmeal and smoothies! I'd like to try the cherry charge flavor! I haven't tried chia seeds yet, but I am hearing about them everywhere! I like anything with raspberry, so I would like that flavor. I have never tried chia seeds, but would love to. My friend uses chia seeds for energy and raves about them. I really want to try them too.